Norman P. McClelland passed away Tuesday July 11 after a brief illness. After serving as CEO for Shamrock Foods Company for 45 years, McClelland continued as a guiding force for the company by serving as Chairman of the Board until the time of his passing. 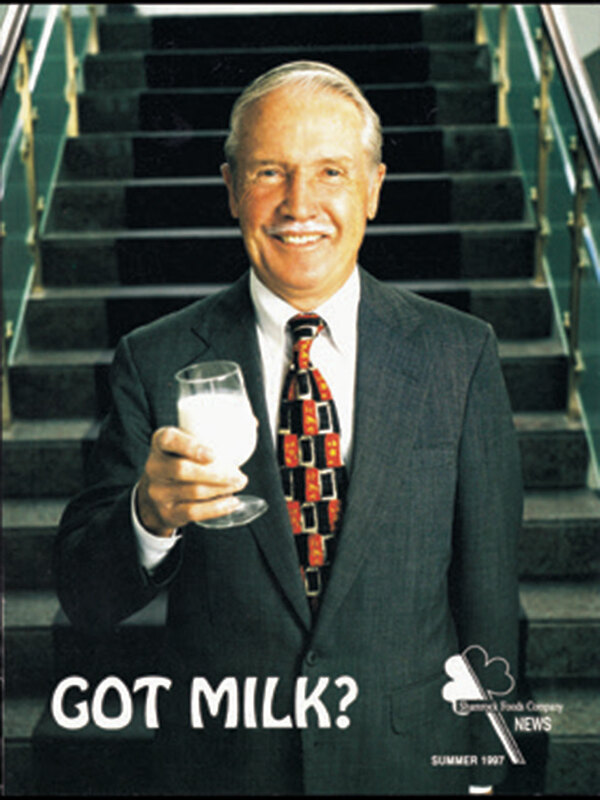 Shamrock Foods Company – parent company of Shamrock Farms and Shamrock Foods – was founded by Norman’s father, W.T. McClelland, an immigrant from Co. Down, N. Ireland, in Tucson, Ariz., in 1922 with a Model T truck and 20 cows. After 95 years in business, it is now one of the top privately held companies in America, and one of the top 100 employers in Arizona. 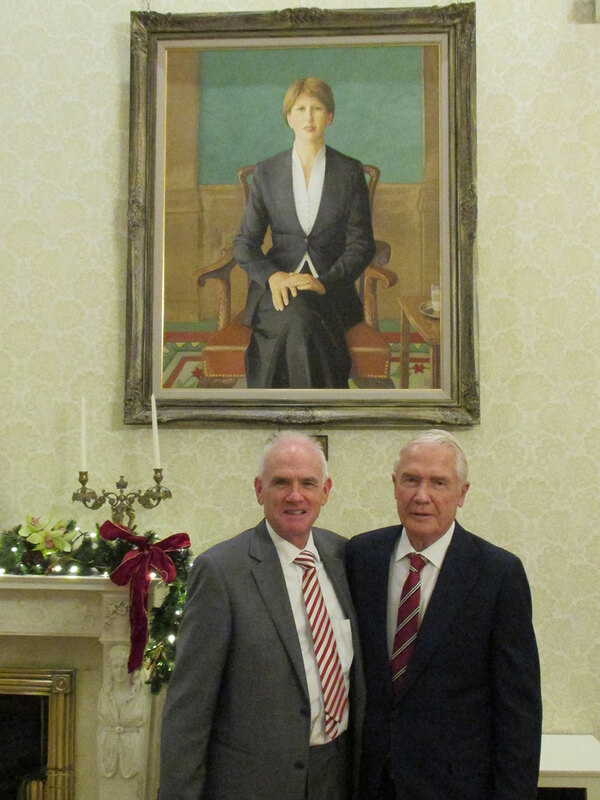 Norman’s Irish heritage was a source of tremendous pride, and he dedicated much of his time to ensuring that Irish culture continues to thrive in Arizona. He kept in touch with his family in Ireland and frequently traveled there to see family and friends. He was actively involved in the Phoenix Irish Cultural Center and he is best known for envisioning and bringing to fruition the McClelland Library. The one of a kind library, bearing his family name, houses more than 8,000 books and other materials available to the public to educate and ensure the legacy of Irish writers, history, and culture in the desert Southwest. His hope was to establish it as a center for people to tell their story, and to leave a lasting legacy for the Irish Diaspora in the Southwest. Norman researched and published four detailed family history volumes, one on each of his grandparents who grew up within a ten-mile radius in County Down, N. Ireland. The family histories serve as the cornerstone for the library’s Genealogy Research Centre, named after his late sister, Frances H. McClelland. 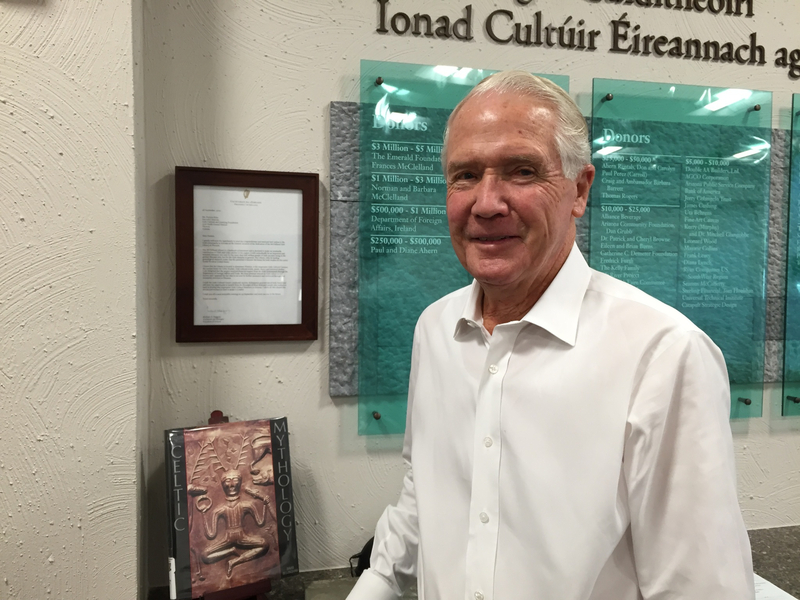 Norman’s dedication to his family and helping others discover and write their family histories is what guided his huge investment in developing an Irish library, housed in a modern-day castle, in the heart of downtown Phoenix. Norman personified Shamrock’s long-standing commitment to “treat associates like family and customers and suppliers like friends.” The impact of Shamrock Foods Company extends far beyond the quality products it manufactures and distributes, because Norman believed it’s just as much the company’s duty to give back to the community as it is to provide superior products. Thanks to Norman’s leadership, Shamrock Foods Company supports more than 80 non-profit groups and donates more than 450,000 pounds of food annually to local food banks. Not only was giving back to the community a philosophy McClelland instilled in his company, but he himself served as a role model by actively supporting many charitable, business and community organizations including the St. Mary’s Food Bank Alliance, Phoenix Children’s Hospital, Phoenix Mountain Preserve, the Boy Scouts of America, Boys & Girls Club, and Interfaith Ministries, among others. 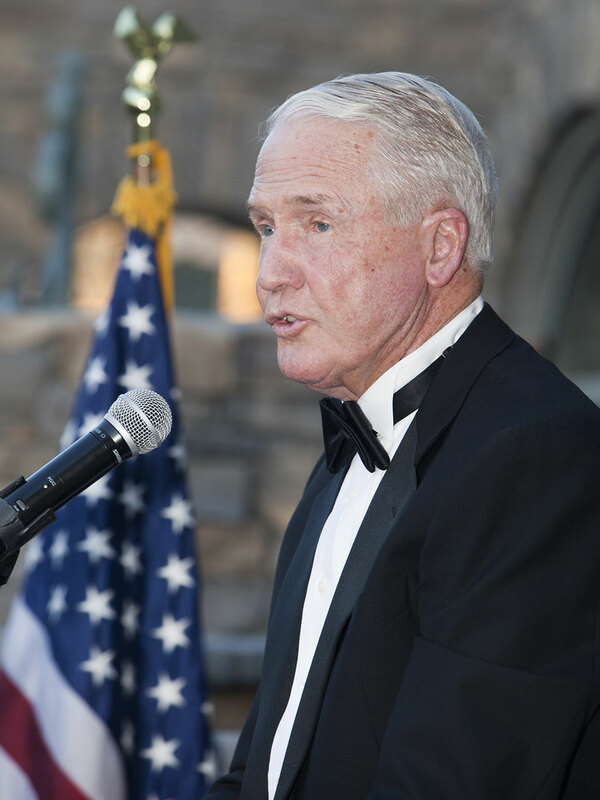 Throughout his lifetime, Norman served as a leader for organizations including the Arizona State Fair, 100 Club of Arizona, Phoenix Mountain Preservation Commission, Save Our Mountains Foundation, University of Arizona Eller School of Management, Rockford Institute, Howard Center, Goldwater Institute, Joe Foss Institute, Duet and the Irish Cultural & Learning Foundation. He placed a high value on education and remained an active supporter of his alma mater, the University of Arizona, throughout his life. Norman and his sister, Frances H. McClelland, were both alumni. In 2008, McClelland Park was built to house the John and Doris Norton School of Family and Consumer Sciences, and in 1992 the new Eller College of Management facility was dedicated and named McClelland Hall in their honor. A viewing will take place from 5 to 8PM PST, Friday, July 21 at Valley Presbyterian Church (6947 E. McDonald Dr., Paradise Valley, Ariz.).